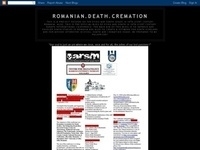 An Online student community that shares, discuss information about studying in Romanian universities. Get to know University of Timisoara Medical school Romania. Information on University of Medicine and Pharmacy Iasi Romania. Ovidius University of Constanta Medical School Romania. General Information and admission requirements. on Apr 15, 2010 in Medical School Universities Apply Admission Romania Constanta Transfer. Get to know some things about University of Timisoara Medical school Romania.